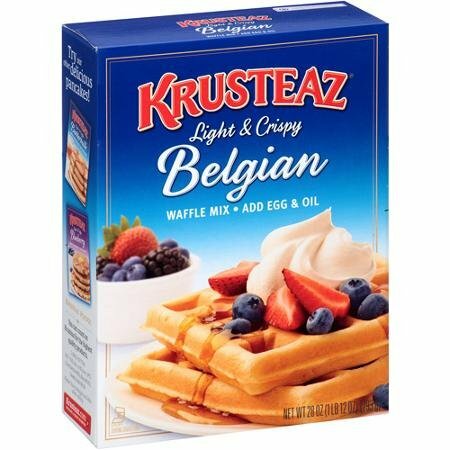 Krusteaz belgian waffle mix, comes in 28 ounce boxes and in a pack of 4. It is specially formulated to make premium quality belgian waffles that are crisp and golden on the outside and light and fluffy on the inside. Also makes excellent traditional style waffles. Krusteaz-a clever mix of crust and ease-has come to stand for home-baked goodness, fresh from the oven in minutes. Its quality mixes bake up moist, tender, and delicious. One bite and you'll know why krusteaz is such a cherished northwest tradition.